Lukas Daniel Haas is an American actor, known for roles both as a child and as an adult. His career has spanned more than 20 years during which time he has appeared in more than 36 feature films, as well as a number of television shows and theater productions. 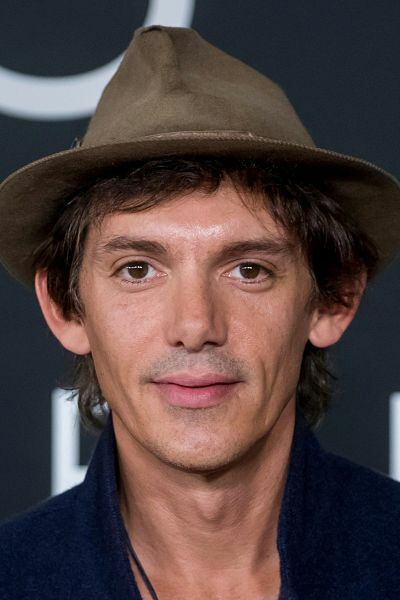 Description above from the Wikipedia article Lukas Haas, licensed under CC-BY-SA, full list of contributors on Wikipedia. Spoof of the \Taken\ franchise. An ex-CIA agent who is now a mall security guard discovers that things are being taken from him. He must team up with his mom, also an ex-CIA agent, to defeat his rival and save his family. The story of Steve Jobs ascension from college dropout into one of the most revered creative entrepreneurs of the 20th century. A revealing drama that focuses on the 16th Presidents tumultuous final months in office. In a nation divided by war and the strong winds of change, Lincoln pursues a course of action designed to end the war, unite the country and abolish slavery. With the moral courage and fierce determination to succeed, his choices during this critical moment will change the fate of generations to come. Academy Award®-nominee Mark Wahlberg stars as a security guard and former alcohol smuggler who is tempted back into the illicit business by his brother-in-law after encountering financial troubles. The thriller also stars Kate Beckinsale, Ben Foster, Diego Luna, and Giovani Ribisis, and is directed by Icelandic filmmaker Baltasar Kormakur, re-imagining his original film in this high-octane remake. Touch centers on former reporter Martin Bohm (Kiefer Sutherland) and his 11-year-old autistic son, Jake (David Mazouz). Martin's wife died in the World Trade Center during the September 11 attacks, and has been struggling to raise Jake since then, moving from job to job while tending to Jake's special needs. Jake has never spoken a word, but is fascinated by numbers and patterns relating to numbers, spending much of his days writing them down in notebooks, his touch-screen tablet and sometimes using objects (for instance popcorn kernels). Valerie is in love with a brooding outsider, Peter, but her parents have arranged for her to marry the wealthy Henry. Unwilling to lose each other, Valerie and Peter plan to run away together when they learn that Valeries older sister has been killed by a werewolf that prowls the dark forest surrounding their village. Hungry for revenge, the people call on famed werewolf hunter, Father Solomon, to help them kill the wolf. But Solomons arrival brings unintended consequences as he warns that the wolf, who takes human form by day, could be any one of them. Death in Love is a psychosexual-thriller about a love affair between a Jewish woman and a doctor overseeing human experimentation at a Nazi German concentration camp, and the impact this has on her sons lives in the 1990s. Based on four best-selling non-fiction books of over 700 Darwin Award cases, The Darwin Awards takes a darkly comic view at the people who risk their lives pursuing a crazy idea... only to end up improving the human race by removing themselves from the gene pool and thus earning a Darwin award. A handmade stop-motion fairy tale for adults that tells the tale of the struggle between the aristocratic White Mice and the rustic Creatures Who Dwell Under the Oak over the doll of their heart's desire. Clear the runway for Derek Zoolander, VH1's three-time male model of the year. His face falls when hippie-chic \he's so hot right now\ Hansel scooters in to steal this year's award. The evil fashion guru Mugatu seizes the opportunity to turn Derek into a killing machine. Its a well-designed conspiracy and only with the help of Hansel and a few well-chosen accessories can Derek make the world safe. Rose, is taken in by the Hillyer family to serve as a 1930s housemaid so that she can avoid falling into a life of prostitution. Roses appearence and personality is such that all men fall for her, and Rose knows it. She cant help herself from getting into trouble with men. A sheltered Amish child is the sole witness of a brutal murder in a restroom at a Philadelphia train station, and he must be protected. The assignment falls to a taciturn detective who goes undercover in a Pennsylvania Dutch community. On the farm, he slowly assimilates despite his urban grit and forges a romantic bond with the child s beautiful mother. Nuclear war in the United States is portrayed in a realistic and believable manner. The story is told through the eyes of a woman who is struggling to take care of her family. The entire movie takes place in a small suburban town outside San Francisco. After the nuclear attack, contact with the outside world is pretty much cut off. Robert Neville, a doctor, due to an experimental vaccine, is the only survivor of an apocalyptic war waged with biological weapons. The plague caused by the war has killed everyone else except for a few hundred deformed, nocturnal people calling themselves \The Family\. The plague has caused them to become sensitive to light, as well as homicidally psychotic.